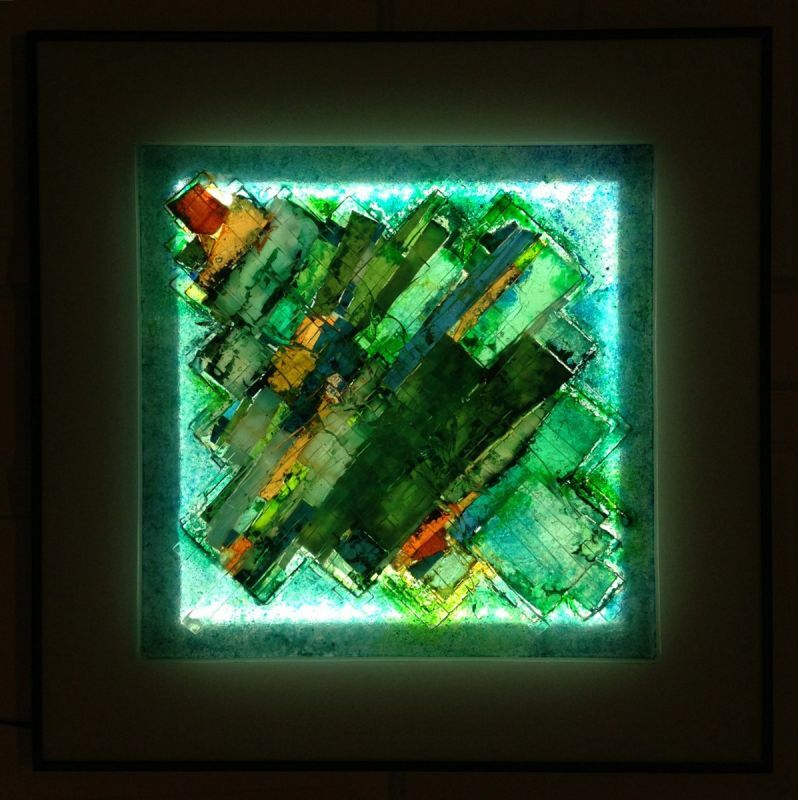 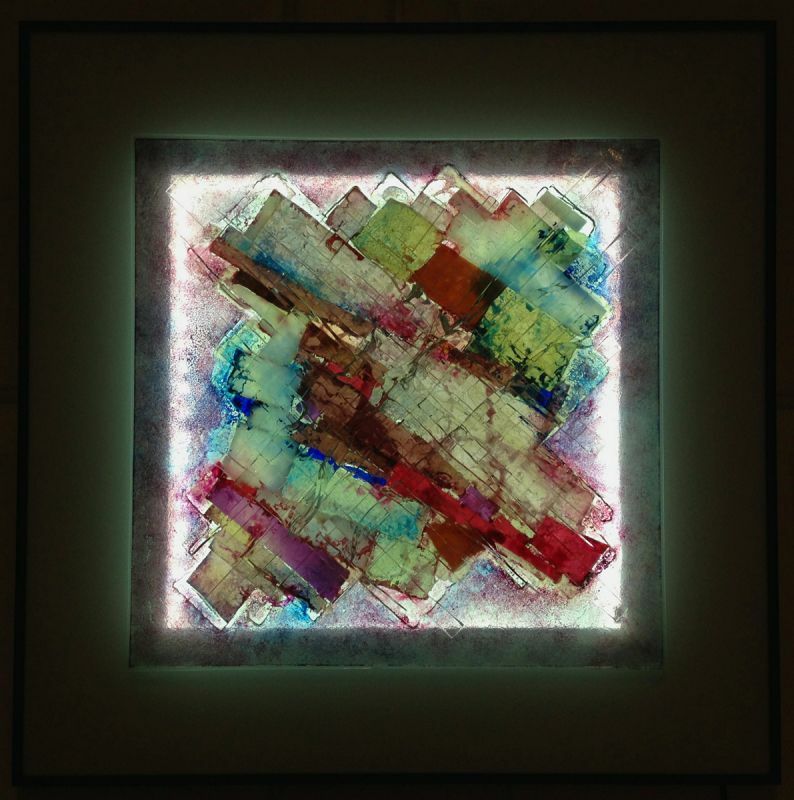 Burgundy LED Wall 20″ x 20″ Painted Fused Glass Panel with LED Backlight, Ready to hang. Wall Art LED Tangerine: It is Fall, 6″ x 36″ Fused Glass Painted Panel with LED backlight. 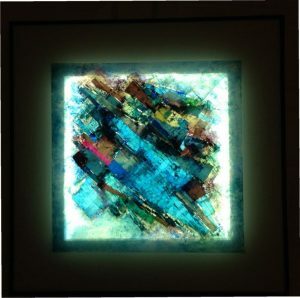 Metal Frame, Black Finish.